We've just completed a very exciting tour for fashion brand Boden. Boden are famous for their floral prints and beautiful details. So when they designed their new, event-ready occasionwear, it seemed only natural for them to team up with flower delivery brand Bloom & Wild to tour the UK and bring the range to their nationwide consumers. We're in Oxford today visiting the hardworking teams at the Ronald McDonald Children's Hospital... then it's a busy week for Betsy as she's off to Surrey and then to London! ... so it's been months in the planning but our beautiful Betsy Brow Mobile is finally on the first leg of its tour to 'map the nations brows.' Over the next few months the Brow Mobile will tour up and down the UK. We conceived the concept of the Brow Mobile, an 'all-terrain' vehicle that can literally go anywhere in the UK to deliver the perfect Benefit Brow to Bene-fans no matter where they live. Entry to win a visit from the Brow Mobile is via the Benefit Cosmetics Facebook page. We were delighted to be asked by the wonderfully healthy people at Bodyism to help them produce a stand for the Good Roots festival which took pace last weekend at MC Motors in Dalston. 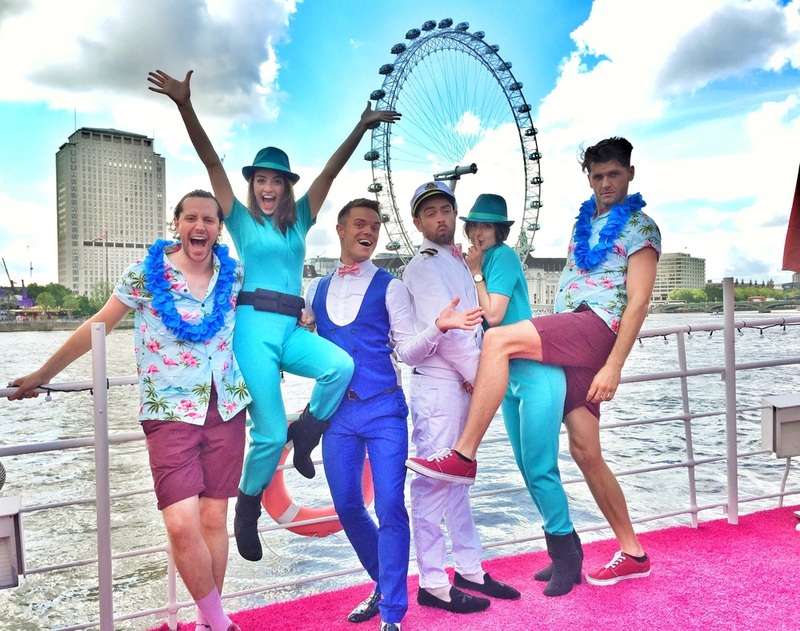 The dream team on the Good Ship Benefit welcomed the Benefit CEO onboard today for their passport party with guests arriving by speed boat it was a fabulous day. 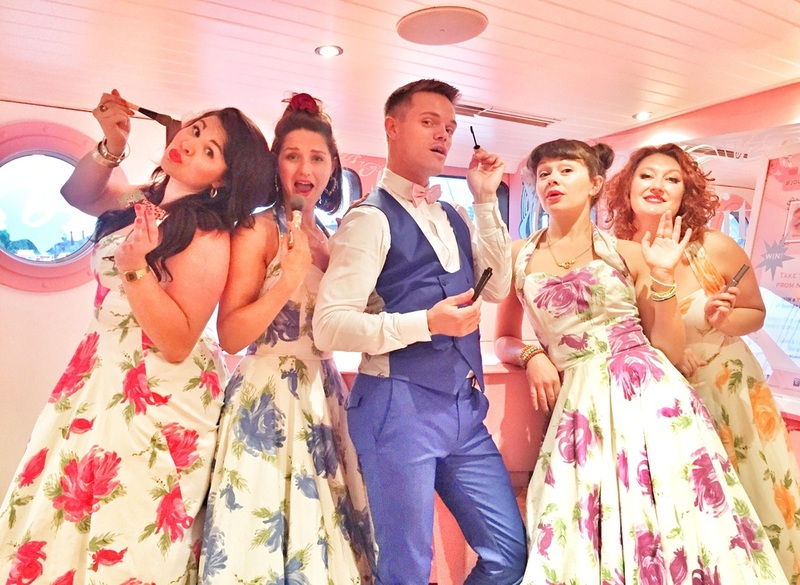 The Funny Women team are onboard tonight for A comedy showcase with the fabulous Dolly Slatemen and the gorgeous 4 Fems on the Thames. 2016 is the biggest year ever for Benefit Cosmetics with the announcement of their biggest launch, The Brow Collection. A comprehensive collection of 9 amazing products totaling 45 different SKU’s, the collection is set to explode the Brow Category and make Benefit Cosmetics the ‘go to brand’ for all your brow dilemma’s. For such an important launch it was crucial for the brand to engage with each and every individual Benebabe across the UK and Ireland to introduce them to the Brow collection, excite them at what the collection will mean to Benefit as a brand and to them as an individual. 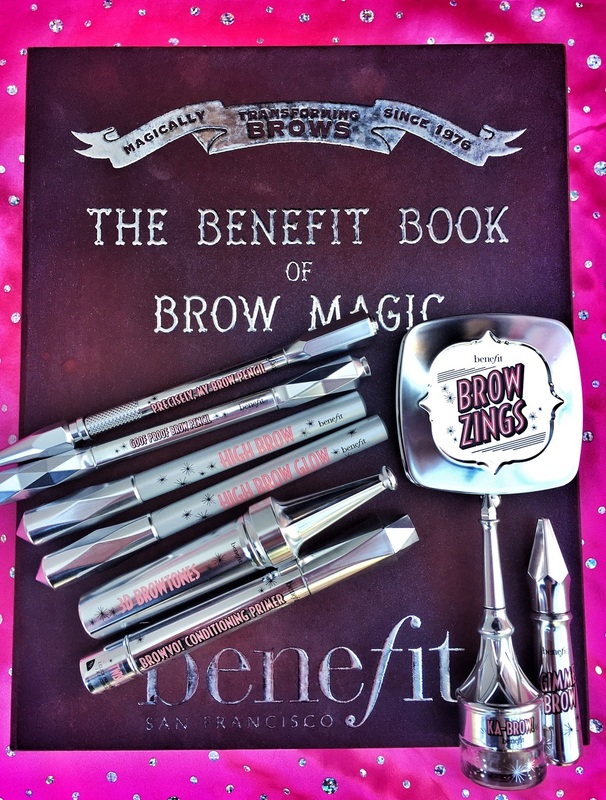 Benefit Cosmetics have been “magically transforming’ brows since 1976 and the magic will be taken to whole new level this year with the Brow Collection, so it seemed fitting that the theme for the products and our tour would be magic. 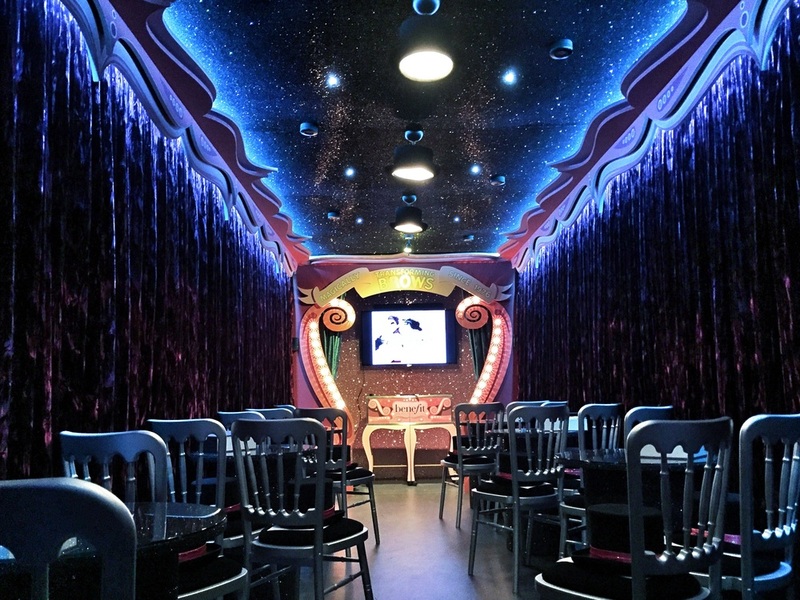 Taking a 40ft shipping container The Persuaders performed some magic of their own converting the container into an impressive cabaret style magicians theatre complete with a sparkling LED lighting system, velvet walls, glittered ceiling and top hat tables. The Persuaders were tasked with securing venues to host our 22tonne truck in 17 cities across Scotland, England, Wales and Ireland over a 28 day period. With 6 event days a week, many in a different city each day, the truck saw 5 sessions a day with a total of approximately 1,900 Benefit staff through our doors. The tour was managed and hosted by our Magician, The Great Jordini who welcomed the Benefit staff to each session and got the excitement going with a “Brow Magic” performance. The Persuaders team managed all aspects of the tour including container design, container refurbishment, truck and tour logistics, venue booking, health and safety, tour scheduling and consumer engagement with our promo team in key selected cities engaging with the public. 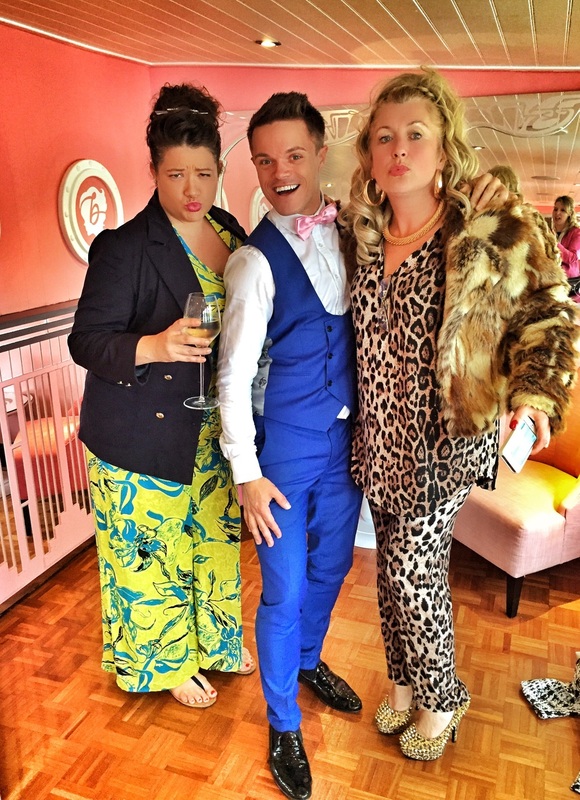 The tour completed its magical duties in Dublin with a special celebration of the global announcement of the Brow Collection with Irelands best bloggers and influencers being given exclusive access onboard for a champagne reception. 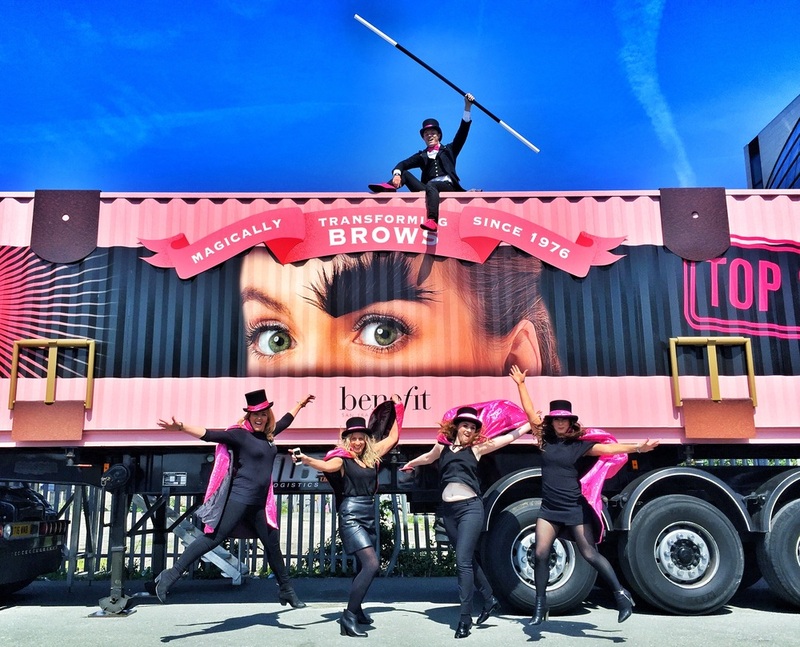 Both the bloggers event and the entire tour were a huge success, turning heads in every city visited the #wowbrows truck certainly got the attention it deserved and achieved our goal in paving the way for a truly magical Year of the Brow. 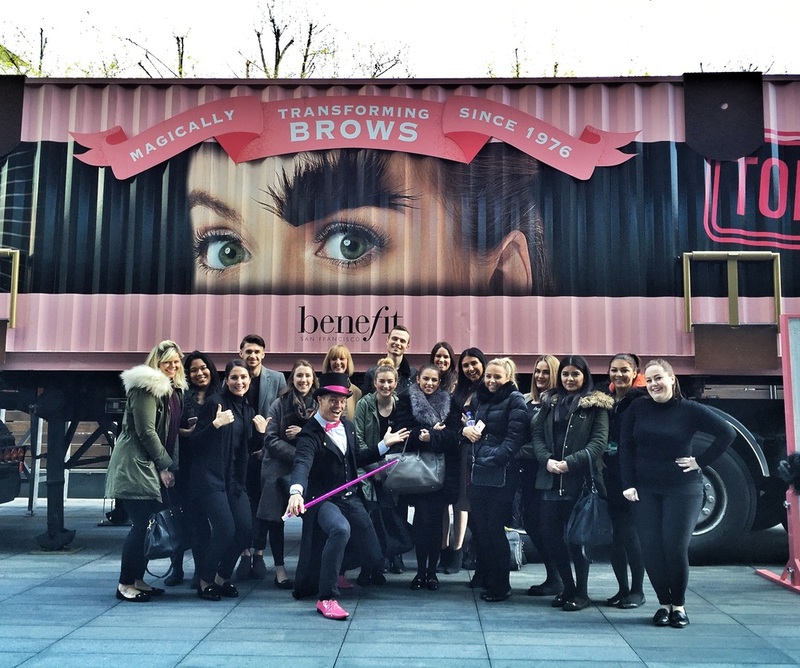 Its the final day of our epic #wowbrows training tour and there will be a huge announcement for Benefit tonight. The team are in Dublin having a great day of Brow Magic getting super excited for the big reveal! The team had a super day in Belfast with a fabulous final session of the day with these gorgeous girls who loved the top secret training on our #wowbrows truck... Next stop Dublin! The Irish leg of the #wowbrows tour has got off to a beautiful sunny start in Belfast today, day 1 of our week long tour of the gorgeous green isle. The #wowbrows training team complete the London leg of the top secret Brow training today seeing 550 Girls this week.... Next stop Ireland! 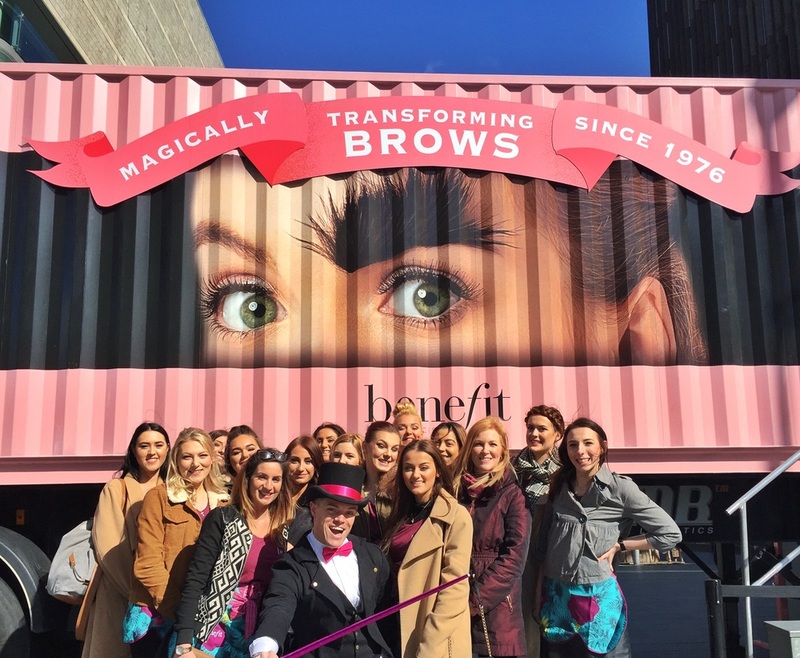 The #wowbrows training truck is in Spitalfields Market this week getting the Benebabes of London excited about the Year of the Brow! 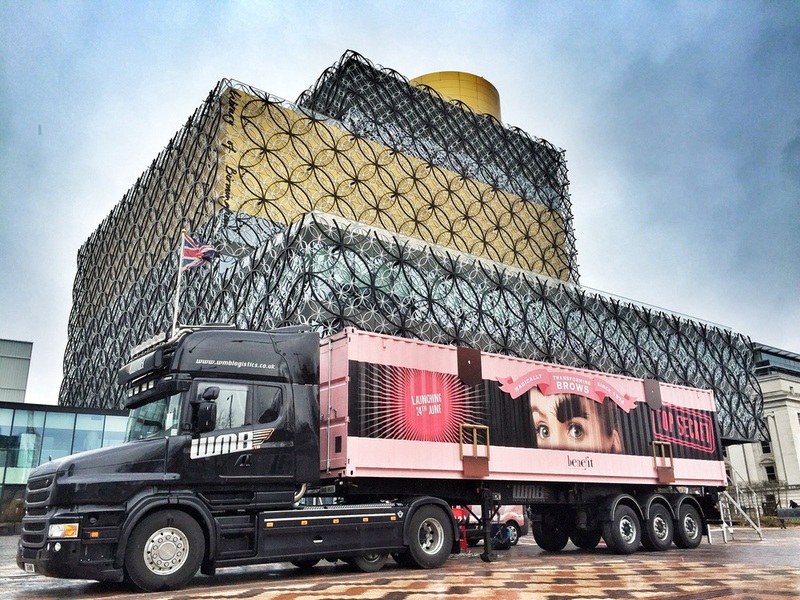 Its Birminghams #wowbrows training today onboard the top secret truck outside the beautiful Library of Birmingham. Even in the damp weather the truck looks gorgeous, but we are slightly biased! Its been another fantastic day for the team on the #wowbrows tour in Leeds, the sunshine came out and the trainees loved the top secret training. The #wowbrows tour is in Newcastle, the training teams have had a great day, here is the truck standing proud at Center for Life. Top Secret Year of the Brow training inside the truck and #wowbrows consumer activity on our photo-wall outside. The team in Glasgow had another great day on tour. 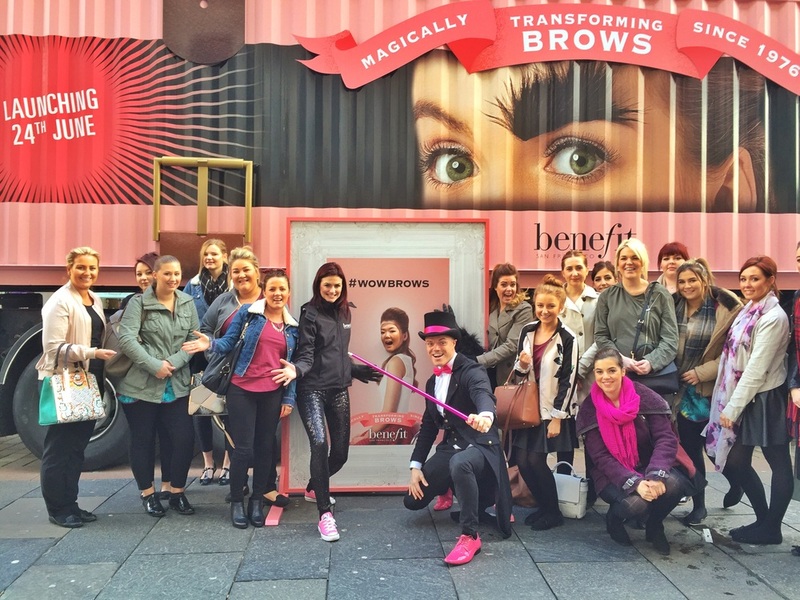 Our UK and Ireland Brow Training Tour got off to a great start today for Benefit Cosmetics and the Year of The Brow. The truck is looking great in Glasgow City Centre, look out for us coming to a city near you! This is the start of a very exciting journey n 2016 for The Persuaders and Benefit Cosmetics! 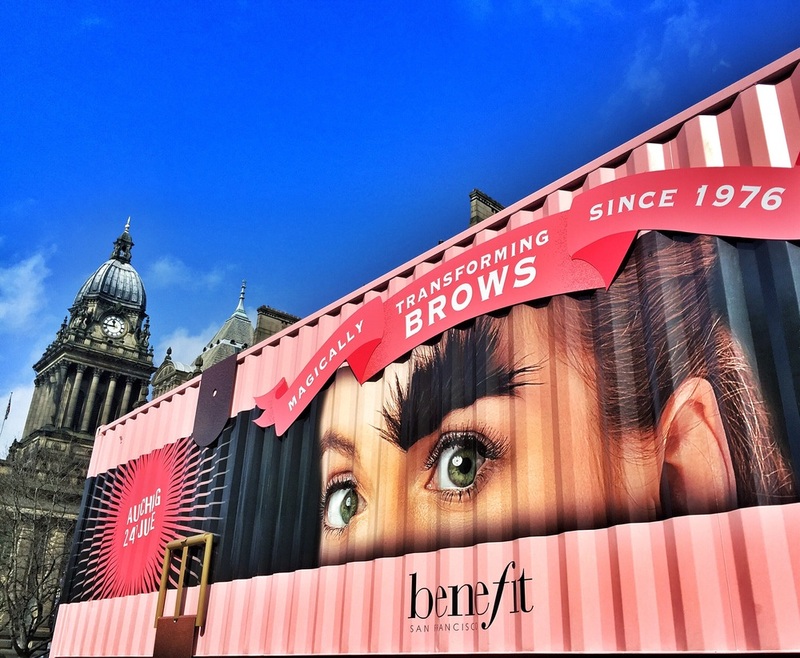 It's a new year and a very exciting new training tour for the fabulous Benefit Cosmetics BeneBabes... here's our newly converted 40ft Shipping Container off on it's first journey up to Glasgow. Its contents are #TopSecret of course and all will be revealed in June... let's just say if you have eye brows then you should be very very excited! We're excited to announce that we're designing and producing the Good Ship Benefit - a 5 month activation that will take place on a boat moored on the River Thames in London. We open in a few weeks but currently it's 'all hands on deck' as we renovate the entire vessel and transform the rooms into an incredible brand world.